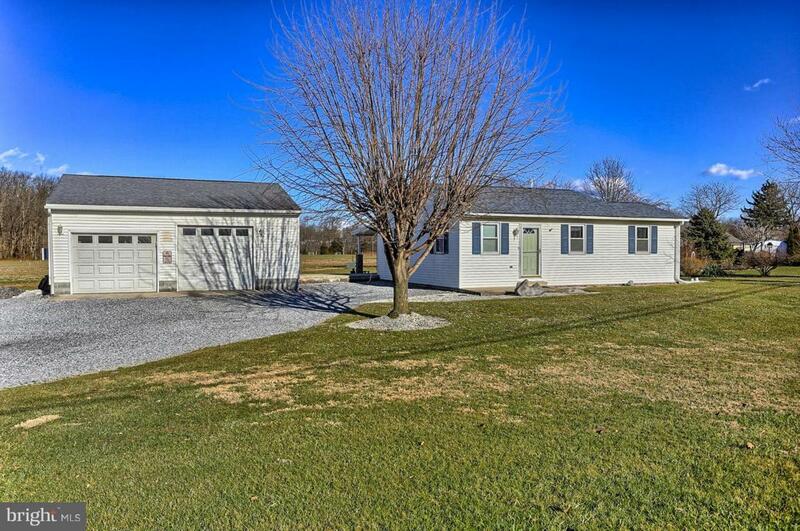 If the garage is where you spend your time, don't miss this cozy 2 BR ranch home with 2 detached garages! Both Garages are insulated w/floor drains. 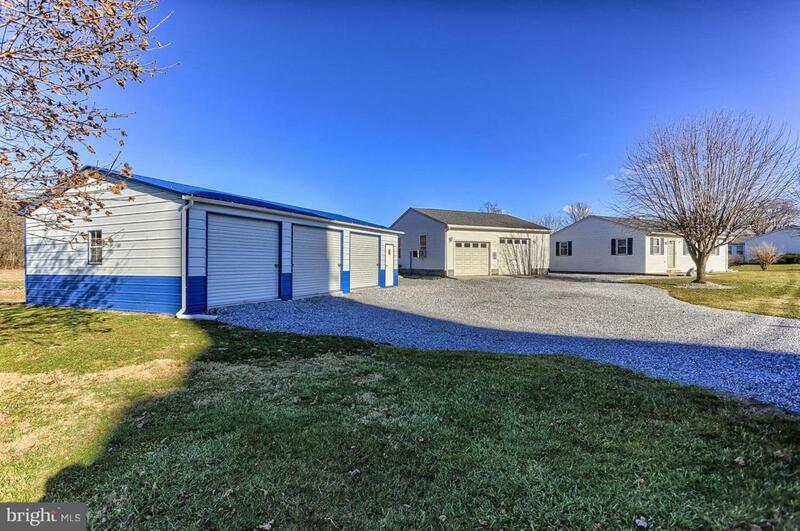 2 Car 28'x28' Garage features: water, electric, heat, AC, 220 Amp power & floored attic storage. Brand New 3 Car 24'x40' Garage features: electric conduit run from other garage & 4th side bay door. Home features newer replacement windows & well pump, open floor plan & spacious kitchen. 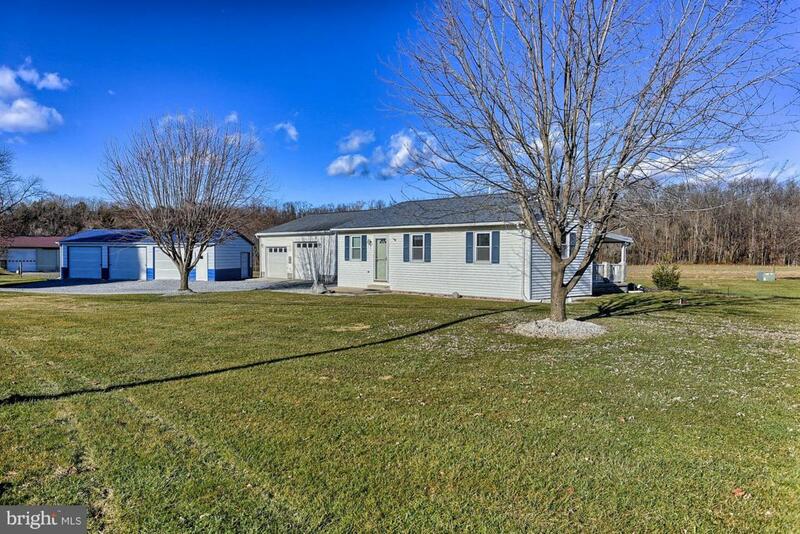 Fantastic Back porch addition overlooks pavered patio w/fire pit, horse shoes, storage shed & Southampton Twp park! Qualifies for 100% financing! Shippensburg school district. Inclusions Garage Refrigerator Ac Unit. Construction Materials Left Over That Match The House And Garages: Roof Shingles Trim Brick & Cinder Clocks Blocks Old Pool Deck Railing. All Stored Outside Garages And in Shed.